Deal Refer a friend and get $150 credit on your September rent; $500 gift card & waived Signing fees! Domain at Tallahassee is one of the newest communities serving FSU students and located only a short walk from campus. 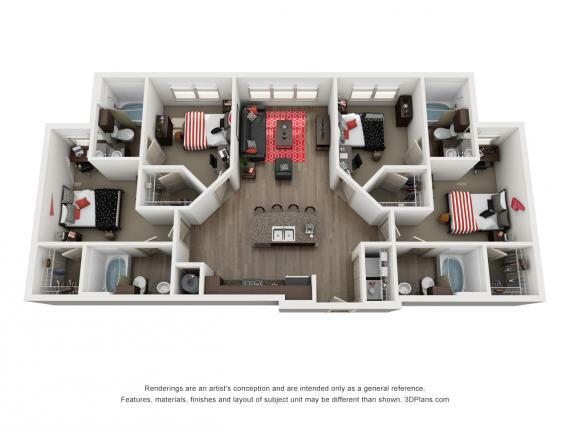 The community offers an incredible location, resort level amenities, private bedrooms and bathrooms, complimentary blazing-fast Wi-Fi, professional management, study space, social activities and even roommate matching all for one low price.